A whole family of marmots clambers over the rocks around the cascading water. 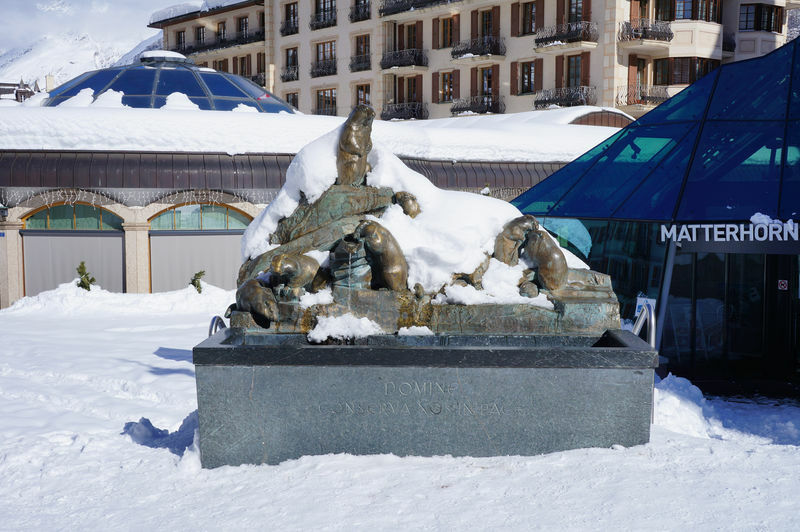 The figures become more and more golden as passers-by stop to touch them; the animals are clearly very popular. The fountain dates from 1906. 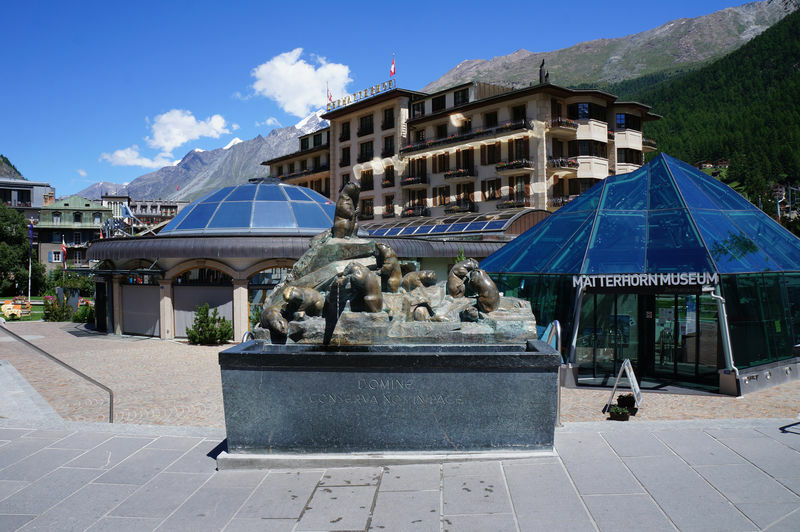 It is also called the Prato Borni fountain, after the old name for Zermatt. 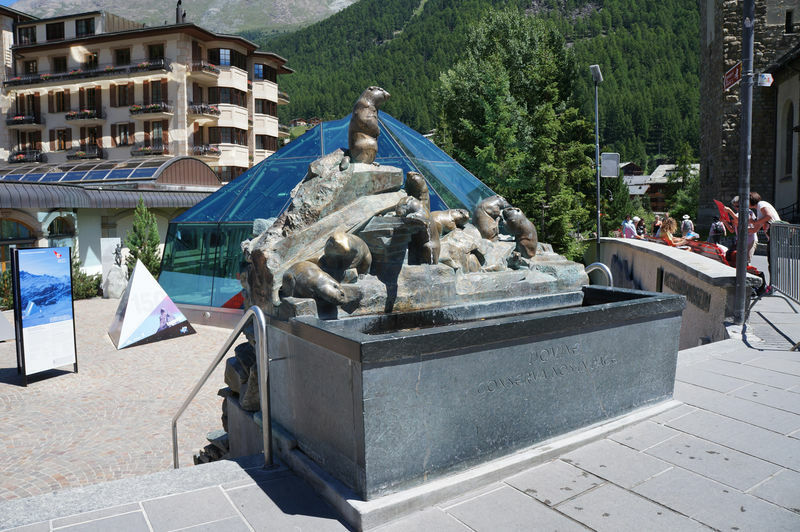 On the rear side of the fountain is a magnificent life-size ibex in bronze.